After an extended weekend in 1974 at Walter and Leonore Annenberg’s estate in Rancho Mirage, the Prince of Wales sent his hosts a glowing thank-you letter. “Individuals who came to spend time cared about world peace and diplomacy as a solution to problems,” adds Kathleen Hall Jamieson, director of the Annenberg Public Policy Center at the University of Pennsylvania. “When you listened to the range of discussions at the Annenbergs’ dinner table, what you heard was a global perspective. Their friends included ambassadors from around the globe, and they knew many heads of state. 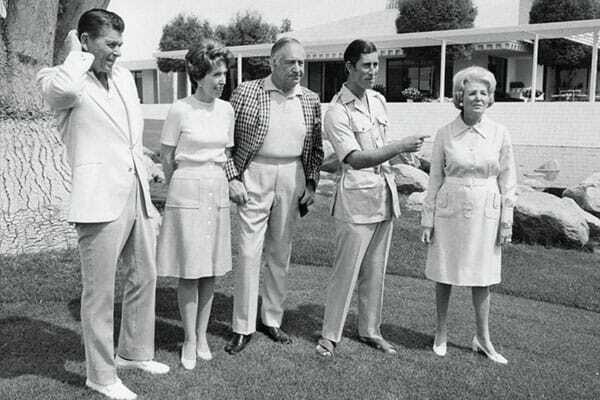 Walter Annenberg takes in the scenery with Ronald and Nancy Reagan (left), Prince Charles, and Leonore Annenberg during a 1974 visit to Sunnylands. While she calls the couple “natural diplomats,” they were in fact officially installed as such: he as the U.S. ambassador to the United Kingdom (1969–1974) and she as chief of protocol under President Ronald Reagan (1981–1982). 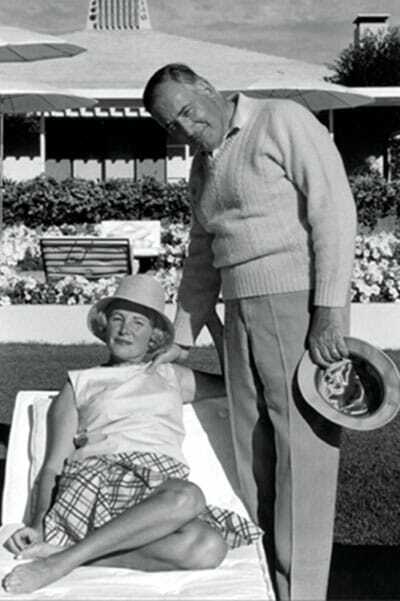 Sensing that what they established had become bigger than them, Walter and Leonore Annenberg created a legacy that would survive them. “They wanted to have a public purpose,” Lane says, crediting their vision to a trust document that “promotes world peace and facilitates international agreement” while leaving the details to the foundation’s trustees. George H.W. 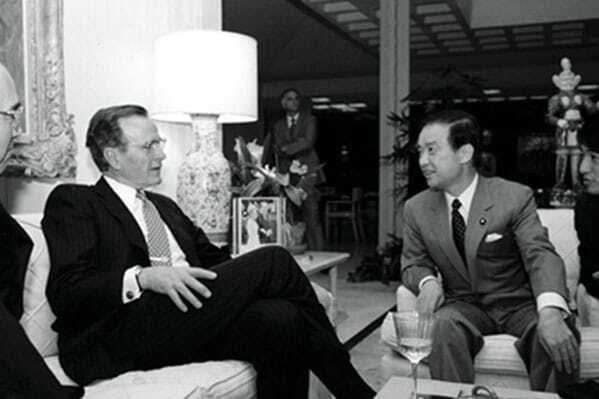 Bush hosted Prime Minister Toshiki Kaifu of Japan in 1990. 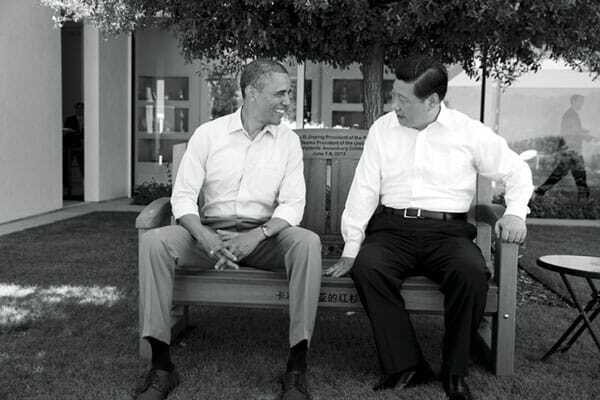 A little more than a year after The Annenberg Retreat at Sunnylands opened in June 2013, President Barack Obama met there with China’s President Xi Jinping. Obama returned in 2014 to meet with Jordan’s King Abdullah II and in 2016 for a summit with the 10 leaders of the Association of Southeast Asian Nations. “He viewed this as a sanctuary where you could be comfortable and relax,” Lane says. The “shirtsleeves summit” (which included a one-on-one amble around the grounds by Obama and Xi) established a rapport between the world leaders that set the stage for future cooperation between their countries. In addition to a serene and casual ambiance, a critical component of Sunnylands lies in replicating the hospitality for which the Annenbergs were known. “We insist that, on Saturday afternoon, [retreat] participants recreate: fish, golf, play tennis, walk,” Lane says, explaining that the underlying goal is to get their minds off business so they can bond personally. “That is key,” he emphasizes. Sunnylands protocol remains intact when the trust must resort to hosting gatherings elsewhere to meet participants’ schedules. For a meeting in January with leading scholars on China (to develop recommendations for submission to the White House and Congress on the U.S.-China relationship), it took over Washington, D.C.’s historic Meridian House. In October 2017, the trust partnered with U.S. Pacific Command (now U.S. Indo-Pacific Command), the Carnegie Endowment for International Peace, and the Brookings Institution to host a discussion among military, diplomatic, and political leaders from the United States and India on bilateral security. Held at a Maryland inn, the dialog established an agenda for a trip this past September by Secretary of State Mike Pompeo and Secretary of Defense James Mattis to New Delhi that brought forth a military communications agreement. 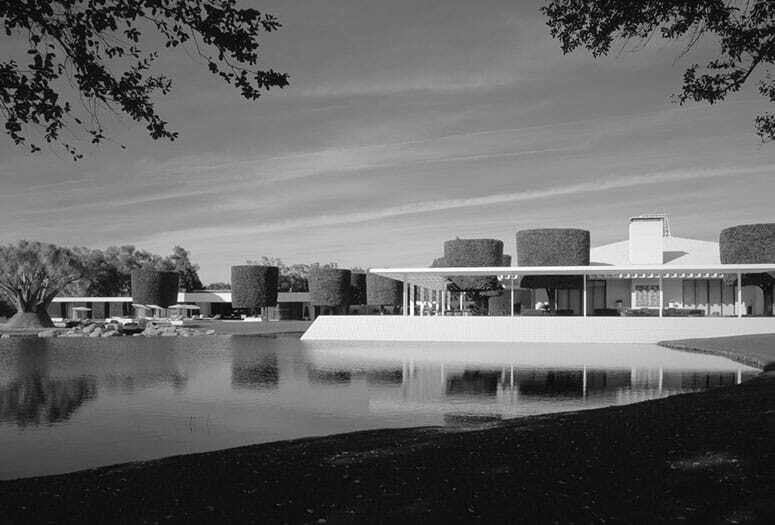 following a weekend with guests in 1968. After the 2016 presidential election, Lane says, he sent a letter to Donald Trump’s transition team “making it clear that we have this public purpose.” Despite the president’s reliance on his Mar-a-Lago resort in Florida as an off-site diplomatic venue, Lane continues working his relationships with people in the White House administration. “When something major raises its head, like the U.S.–North Korea summit, even when I know it’s a long shot, we go through the motions of reminding them we are here,” he says. “We let our networks know, but those can be moving targets [i.e., a constantly changing roster of government officials]. By mid-September, Sunnylands had committed to nine retreats in 2019. Lane anticipates a full dozen, as well as meetings that are “more than a dinner, but less than a retreat — a half or full day to shape an agenda for the bigger thing to come. Even now, food served at the estate must meet the impeccable standards set by Leonore Annenberg, and hosted events are designed to include cultural components beyond the estate’s impressive art collection. For a U.S.-Mexico retreat, Sunnylands invited the writer and director of Coco to personally screen their Pixar film themed around the Mexican holiday of Día de los Muertos. Lane acknowledges that the trust has “not done a great job” in one regard: relating the scale of its endeavors to the community at large. In part, this is because details about meetings can be sensitive. Indeed, Sunnylands retreats follow Chatham House Rule precepts.